I definitely wasn’t expecting to make this pendant necklace this morning! I went to my studio with the only thought that today I was going to make a necklace. And as I started thinking about colours and themes and styles…these little beads started to appear in the collection of beads I was drawn to. 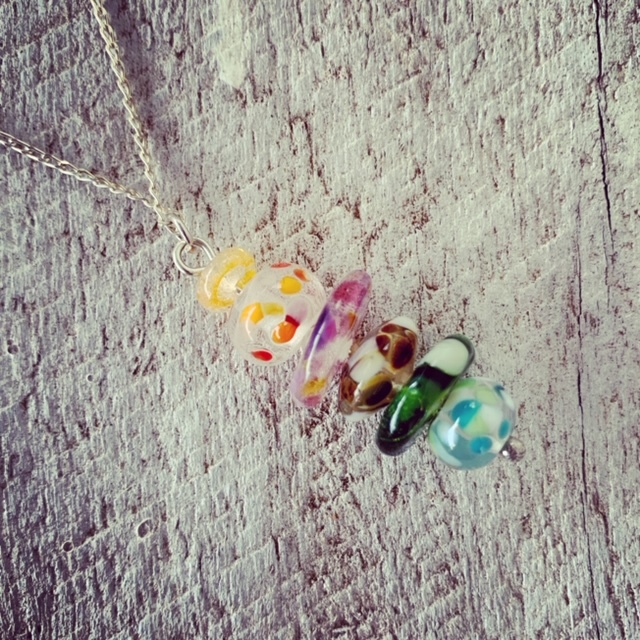 A few little design changes here and there and this is where my morning ended, with a super cute recycled glass bead pendant necklace!